I love lavender, anything to do with lavender, I have it or tried it. It's my favourite scent, my favourite aromatherapy oil and now one of my favourite things to eat. 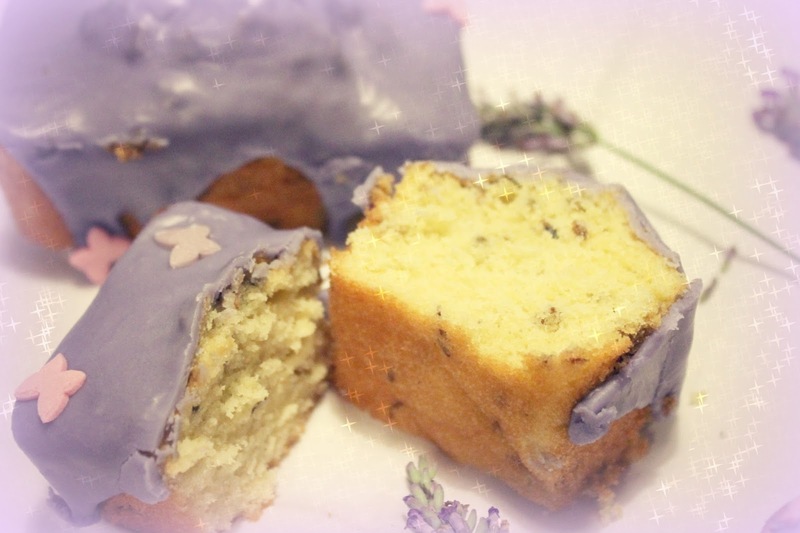 I made these delicious mini lavender and lemon loaves for my besties birthday last week and they went down a treat with everyone. Dried lavender - I was going to pick some fresh from the garden but my mum had some dried lavender already which she gave to me. She got it in a local health food shop. 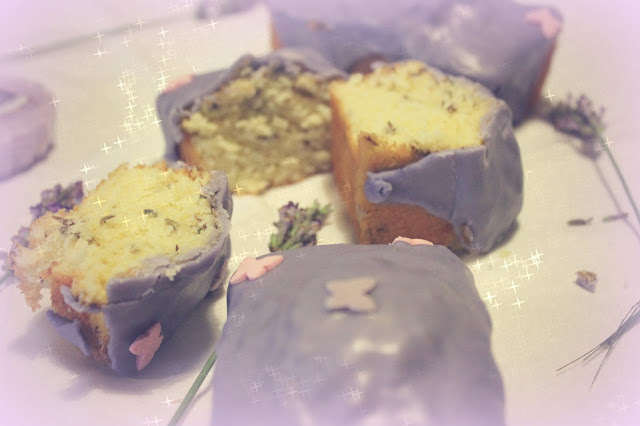 Once cooked and cooled, I topped them with icing and a few cake toppings I had in the cupboard. 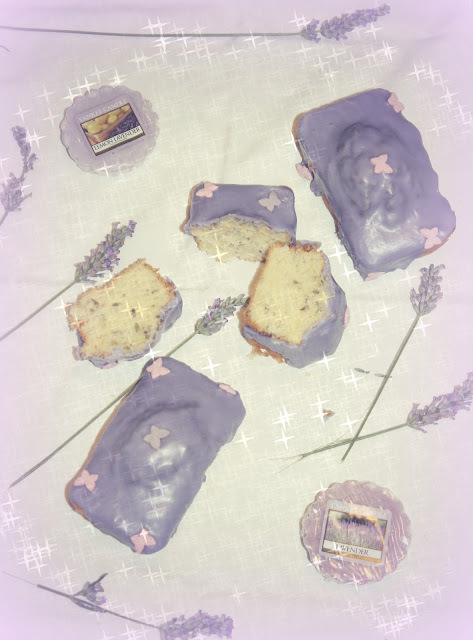 These cakes turned out so much tastier than I had imagined, the sponge was light and the lavender was intense but subtle at the same time if that's possible! Next time I would a little more lemon or some lemon rind. These are just as nice without the icing too.